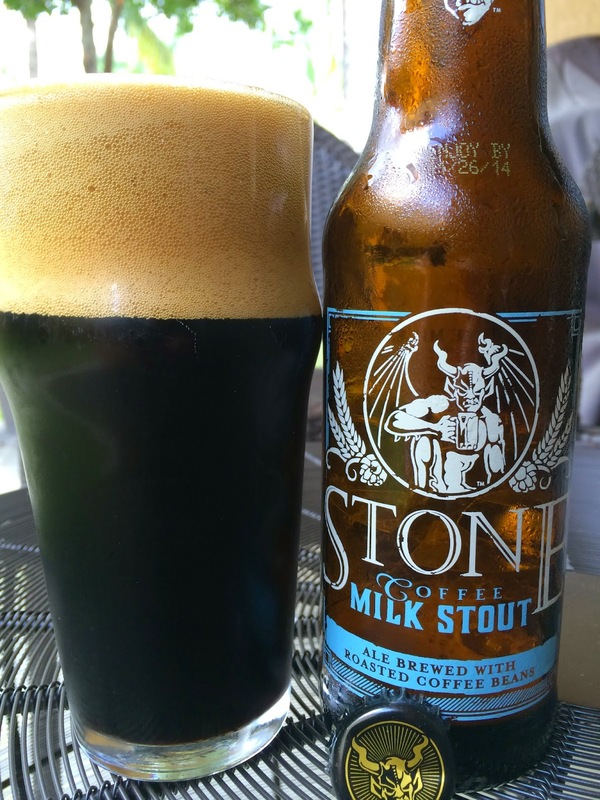 I grabbed a bottle of Stone Coffee Milk Stout the other day. I hadn't seen it before and thought I'd give it a try. 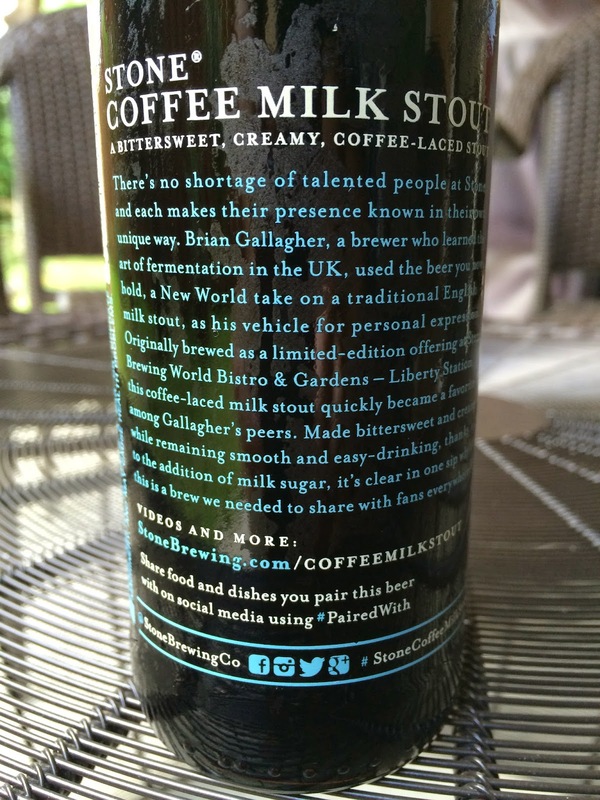 The back of the bottle describes it as a "bittersweet, creamy, coffee-laced stout" and gives a little insight to its origin. Apparently, one of Stone's brewers created this as a limited edition beer for Stone World Bistro & Gardens, and its popularity led to becoming a full production beer that I was able to easily buy in South Florida. 2014 release. 4.2% alcohol. Big head, though it's mostly my fault. Holy roasted coffee aroma, Batman! And some smoke, but that's it. The flavors are a reversal of that aroma--the coffee flavors seem like an afterthought buried beneath a giant smoky, malty campfire. Fairly creamy. Hints of chocolate and sugar, though overall the beer leans bitter. And again, that's pretty much it, very simple. Low to medium body. I guess the big smoky, even ashy, flavors probably met what you might look for in a bold Gargoyle beer, but this isn't what I was expecting at all. Very one dimensional, lacking the intricacies I've come to expect from practically every Stone beer. Besides that, too smoky for me. Doesn't make me really think "milk stout" in the slightest. Try it for yourself if you want.